When I first started designing, I didn't think much about pattern layout. 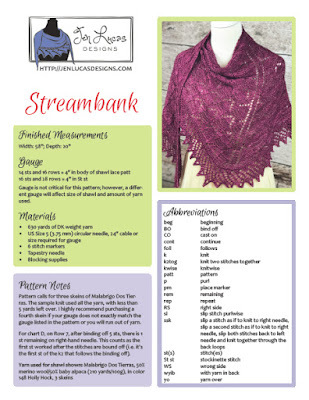 Get all the info in the pattern, it doesn't have to be pretty. But, as the design career went from hobby to part-time job to full-time job, pattern layout started to become more important to me. I wanted to have beautiful patterns. When I was first ready to make the next step to having a nice pattern layout, I hired someone to create a template in Microsoft Word for me, as that was what I was using at the time to produce my patterns. Lots of designers use Word or other Microsoft products to create beautiful patterns. I made the switch to Adobe InDesign for one simple reason - I wanted to learn how to use it. As a former lab lady, I can use Microsoft Word and Excel all day long with no problem, but I had no idea about Adobe products. I liked the idea of a challenge to learn something new. Simple as that. So, the first take away here is use whatever software you want and are comfortable with to make your patterns. There are lots of options and they all work just fine. Once you've determined everything that needs to go into your pattern, make sure you have it in your pattern - every time. I suggest making a style sheet to help you (and your tech editor) be sure you have all the relevant information. 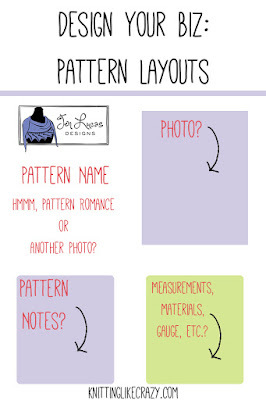 I'd also recommend that you keep your layout similar from pattern to pattern. 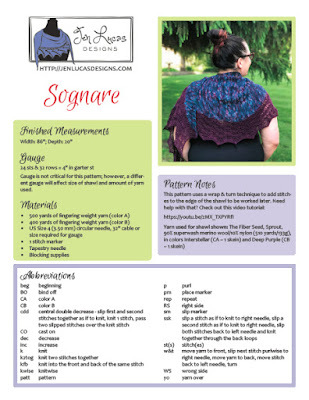 You may have to move things around a little bit in order to get everything to fit the way you want it to, but having patterns that look the same really help your fans find what they need in your pattern quickly! This was honestly something I didn't think much about until I started working with Stitch Sprouts. Make sure those photos in your pattern are acceptable print quality. No one wants to print a pattern with a super fuzzy photo on it. I could go on and on about pattern layout, but I think this is a good start. What makes you look at a pattern and say: that's a good pattern layout! I'd love to know. *That is not a joke, I've grown to really love it. It's like a fun puzzle!